As part of ‘UK Construction Week’, 2015 we attended the Build Show at Birmingham’s NEC. We exhibited our Emperor Concealed Hinge Bifold Doors on stand B4/311 throughout the three day mid-week show, which ran from Tuesday 6th October to Thursday 8th October 2015. 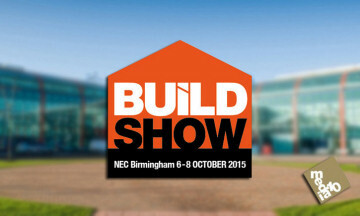 The Build Show was promoted as the UK’s most significant event in construction for decades. We feel that this was a bit of an exaggeration, and that the show was a little over hyped, but it was a great opportunity to network with suppliers and potential trade customers. The show consisted of a wide ranging programme, which explored every key issue and work with notable industry leaders and organisations. A visit to the Build Show gave us access to leading industry content including The Site Zone: an interactive area for demos and workshops, Careers Centre in association with the House Builders Federation, Commercial Vehicle Test Drive and a dedicated section for Civil Engineering.